Click on the locations marked with to view the paintings produced in each class. You will need Adobe's free Acrobat Reader to view the list. Fri. Classes at Gladstone Senior Ctr. Classes held the second Monday of every month, from 5:30 PM - 9:00 PM. Everyone welcome, including last minute walk-ins. 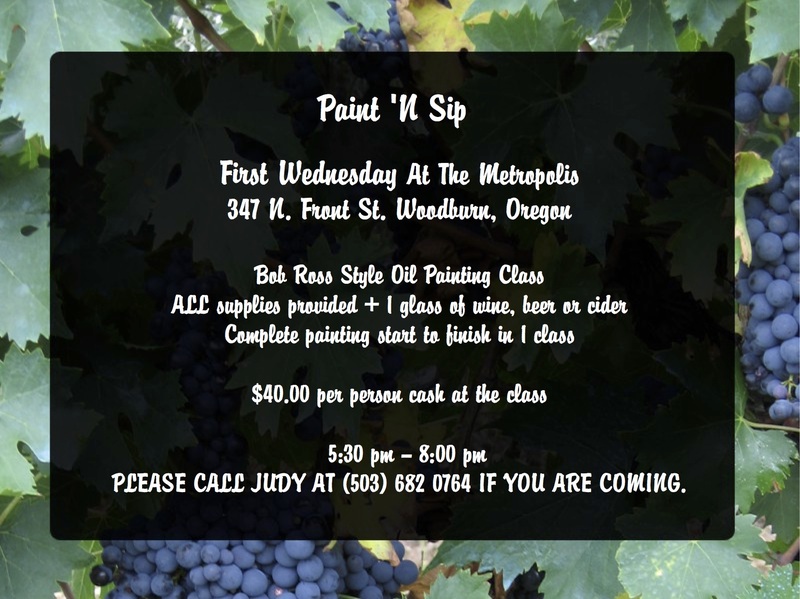 Please call Judy at (503) 682-0764 if you are coming.